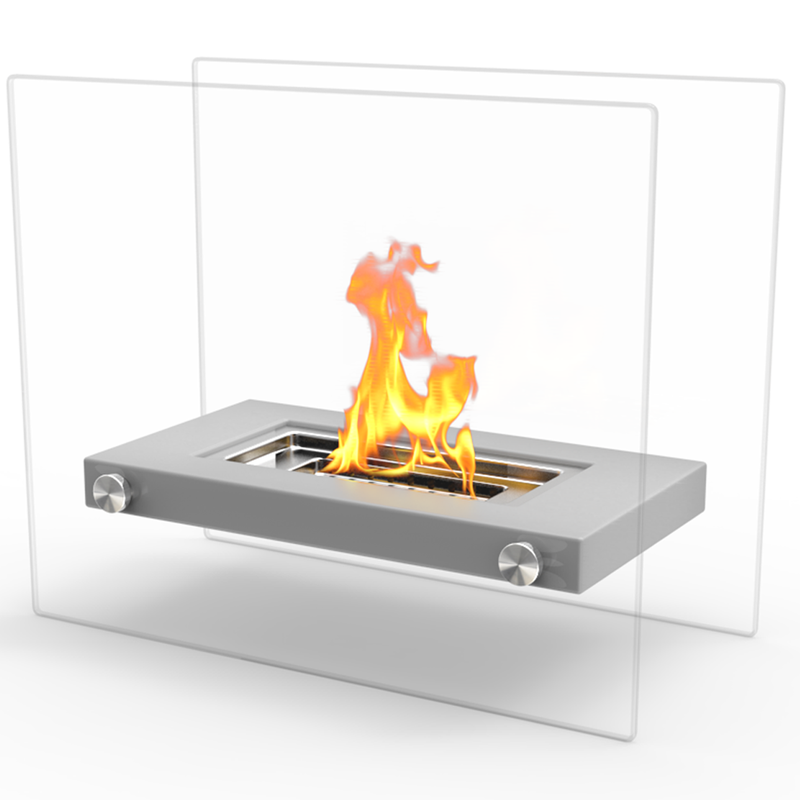 The Regal Flame Gray Monrow tabletop ethanol fireplace provides a warm, glowing flame that dances and swirls to set an elegant ambiance as a dining table centerpiece indoors or out. Love my ventless tabletop fireplace! It is the most creative, stunning centerpiece with function I have ever seen! It adds warmth and style to any outdoor tabletop! 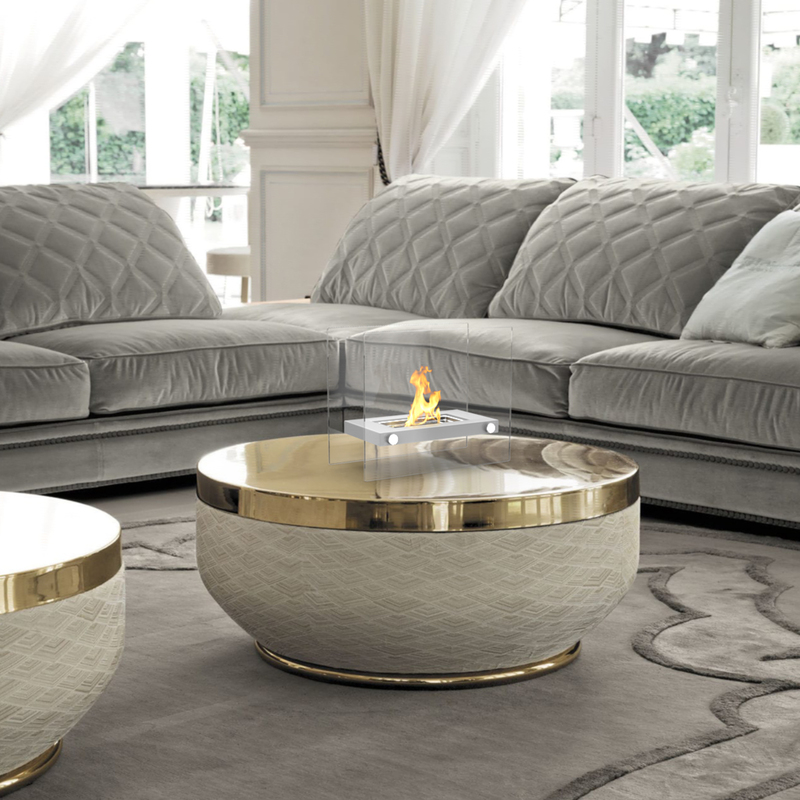 This is a classy fireplace, will sure to impress without taking up a lot of room on your table. The product was larger than expected, fits perfectly on a ?coffee table. 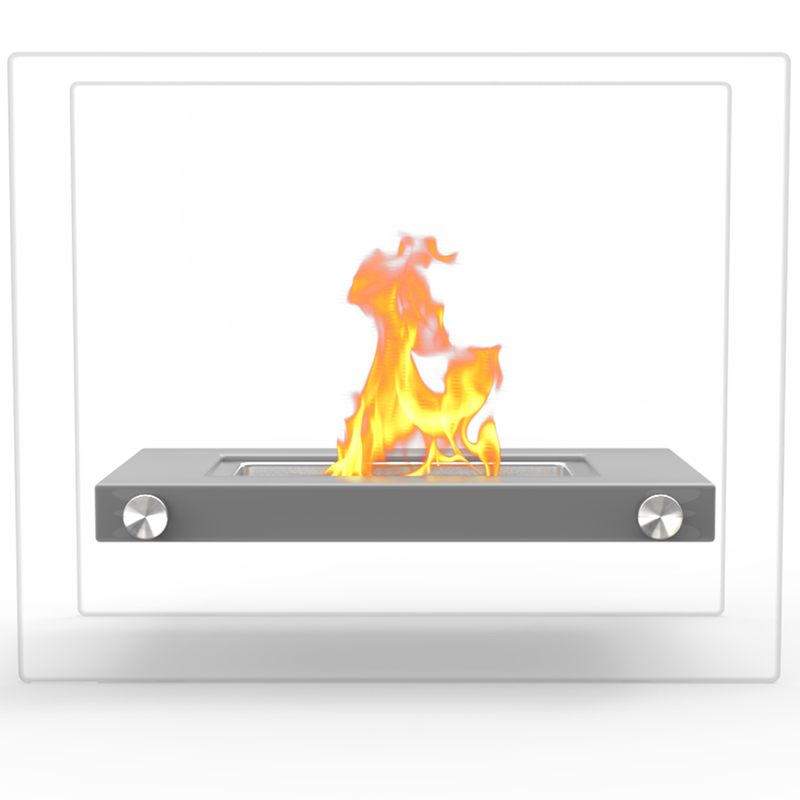 Flame lasts for about 3.5-4 hours when filled to recommended level. Would not hesitate to purchase this product again. 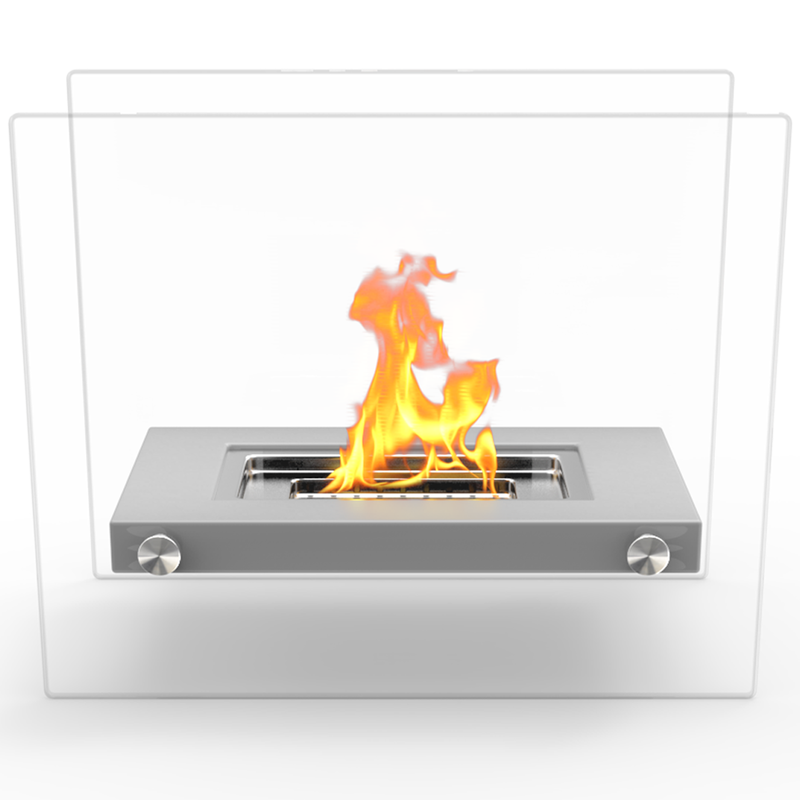 Everybody was asking about it and everybody enjoyed it , they have never seen an indoor vent-less fireplace. 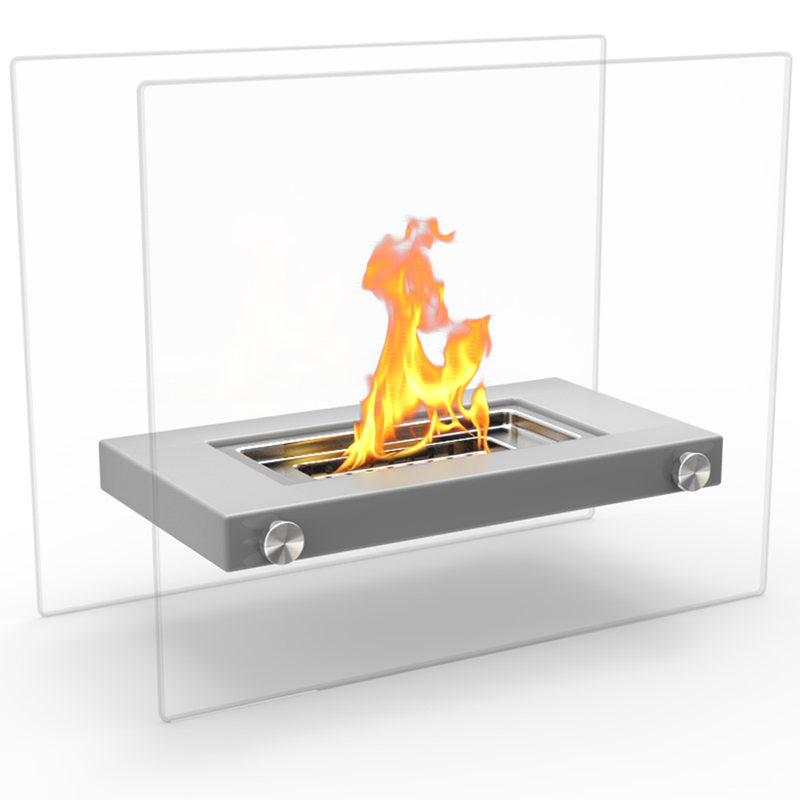 I love this tabletop fireplace. We got it for our porch and I just lit it to see how it looks. It doesn’t get any of the other items around it hot, which I like.